mobles 114 editions is committed to improving common and residential spaces with a signature and timeless design. That is why one of its commitments has been counting on creators: architects and designers. 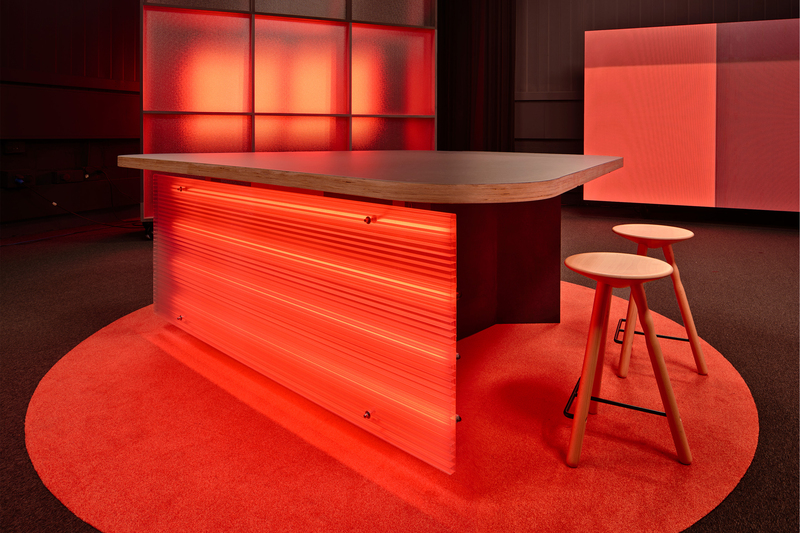 Best sign when offering a product is getting to know it and use it, so mobles 114 editions has always tried to create furniture which suits on office ambients, starting from our own offices. 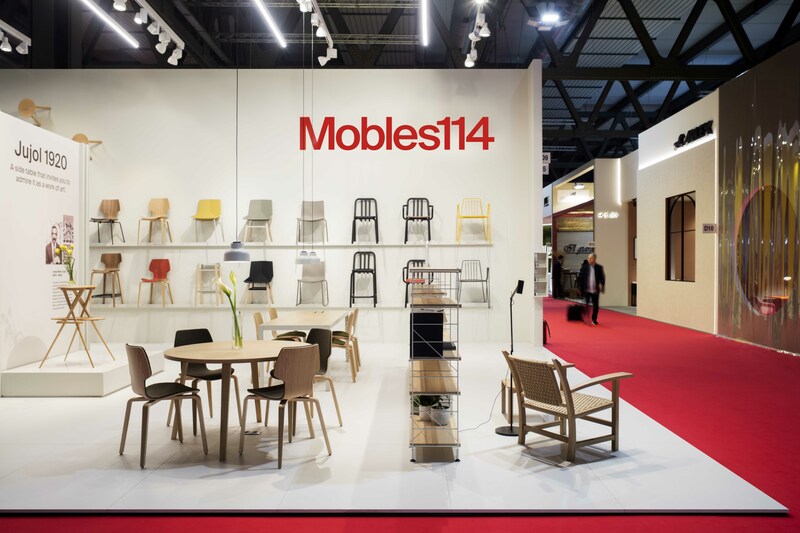 More about mobles 114 editions in Barcelona. 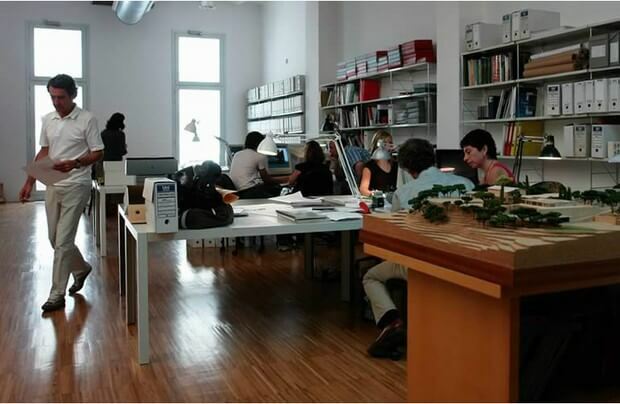 Pujol Cruz Pizarro architecture office, in Cádiz, is a good example. The authors of projects such us MAVE Aeronáutica new office have decided to prescribe Pey tables after using it on their own studio. The waiting room is furnished with OM Basic armchairs, designed by Martín Azúa. More about OM Basic at the web mobles 114 editions. Pictures: Javier Reina Gutiérrez. 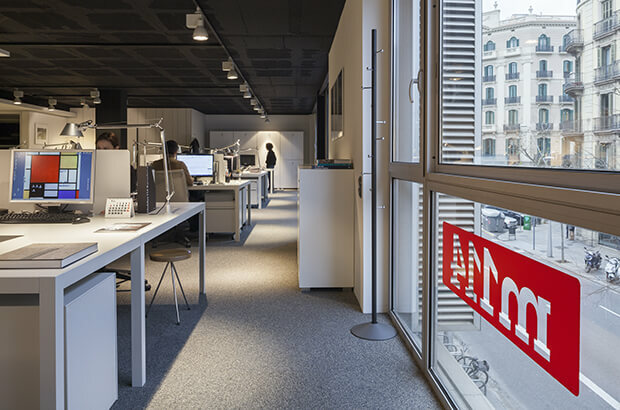 Refurbishment of Velcro Europe offices in Argentona, designed by Luis Eslava and Lorena Sauras, had a very strong aim of aesthetic and functional design, creating a dynamic and creative atmosphere. 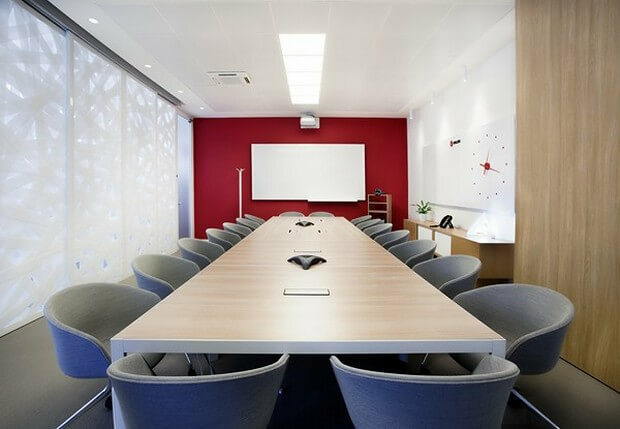 In their spacious meeting rooms, Pey plain lines fit in perfectly and provide the maximum needs. 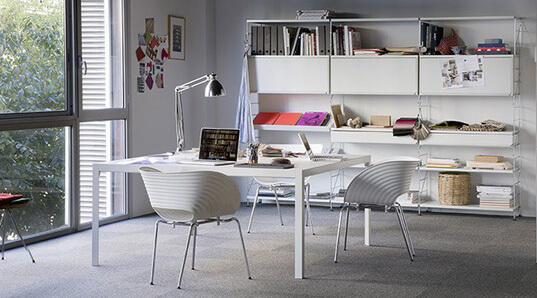 More about Pey office table at the web mobles 114 editions. Hulot coat stand contributes a touch of colour that fits on rooms with a strong transparencies game thanks to the material which names the company. More about Hulot at the web mobles 114 editions. 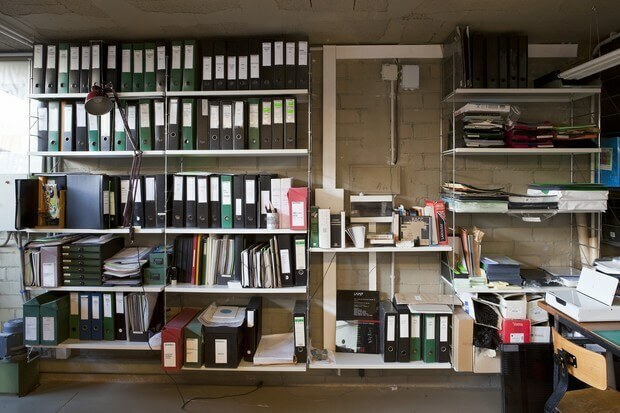 Architecture offices are often places where a lot of information is stored: documentation, plans, memories, etc. TRIA shelving system has been given different solutions depending on the logistic and decorative needs for 35 years. More about TRIA at the web mobles 114 editions. BOOPBA, architecture studio formed byJosep Bohigas, Francesc Pla and Iñaki Baquero in Barcelona, is a clear example of that. 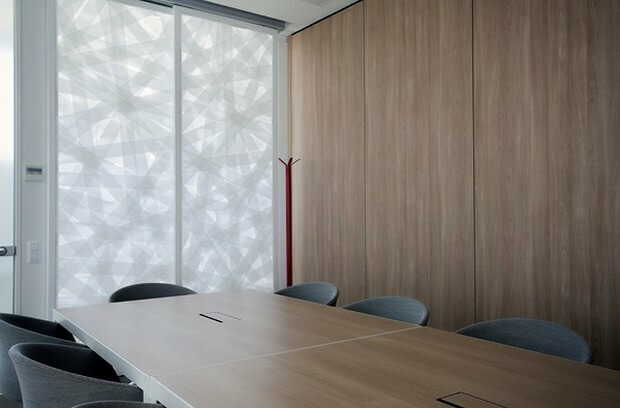 Brick Serveis d’Interiorisme, another Barcelona-based company which offers integrated services in projects for offices, retail, hotels and industries, is another good example of TRIA’s ressistance. 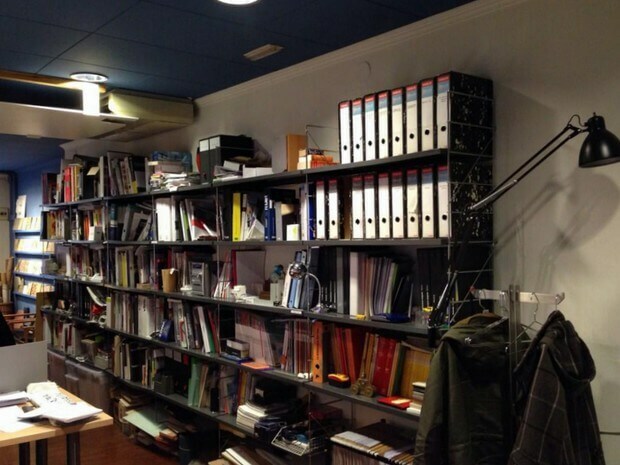 Martí & Sardà Arquitectes S. L. share their 33 years of experience with TRIA shelves in their office in Barcelona, where to look up projects of architecture, urbanism and landscape. More TRIA ambients in „My TRIA“ section of the web.